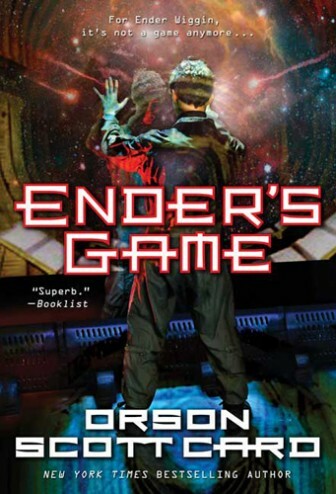 Were a person to ask one hundred science fiction writers and readers if they think Orson Scott Card’s Ender’s Game is an important novel, I imagine most would say yes. Ask that same group if they enjoy Ender’s Game more than its sequel, Speaker for the Dead, and I expect the room would polarize. My last re-read of Card’s seminal treatise on child soldiers and interstellar war was in 2005. In ways that have nothing to do with space warfare, I found the novel surprisingly prescient. In 1985 Card successfully predicted the rise of independent publication through the internet as a means of effectively spreading a message; though reality offers few examples of blogs as successful and influential as Locke’s and Demosthenes’. But if there’s a first principle from which my criticism of the novel emerges, it is Card’s creation of Ender as infallible – arguably this is what puts me in the Speaker for the Dead side of the Ender v. Speaker debate. Ender isn’t simply smarter than his colleagues, he’s also smarter than the readers. Indeed, he’s likely smarter than Orson Scott Card, himself. If this reality weren’t enough to alienate readers, Ender is also a fully mobilized child solider in a semi-fascist future. Thus Ender’s empathy and innocence become his go-to redemptive qualities. If nothing else, images of Ender crying in his bunk produced a reasonably palatable way for Card to hand wave his way around Ender’s various atrocities and war crimes. For everything else Card does in the novel, he is constantly imposing heavily on a reader’s sense of pathos. This imposition is so overt that it even becomes a talking point within certain reviews of the book. Regardless of if a reader enjoys the emotional milieu of Ender’s Game, the story falls apart without it. Bearing this point in mind, let’s turn to the newly released blub on the upcoming Ender’s Game movie. Granted it’s never wise to draw too extensively from two paragraphs of promotional text, but this doesn’t sound like a story which hinges upon the relative innocence of a child solider. In fact, it sounds more like an action movie intent on revisiting Starship Troopers but with a significantly diminished camp value. 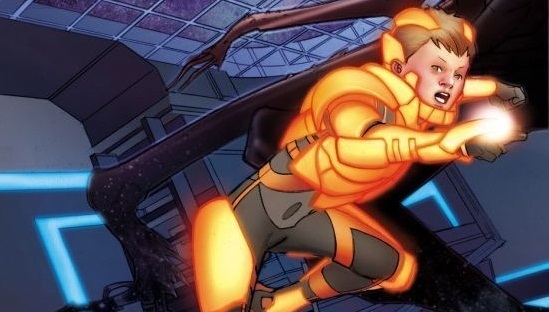 Cloying as it can be at times, Ender’s relationship with his sister, as well as his friends in the Battle School, is the glue that holds the narrative together. Granted, Jack’s and Valentine’s reflections on philosophy/bloggings provide an intellectual framework to justify the novel’s slant on human economies during war time. However, a skilled editorial surgeon could remove those sections of the novel without too much detriment to the overall story arc. But without Ender’s frequent introspection and at times maudlin self-reflection, he’s nothing more than an indoctrinated butcher. Building this essential humanity into a film is going to be a tough sell. Ender’s deepest moments of reflection emerge out of solitude. Despite loading the cast with the likes of Harrison Ford and Sir Ben Kingsley, there’s no real way to lend their acting chops to Asa Butterfield without radically restructuring the narrative. Returning again to the concept of first principles, there is a clear reason why a cinematic adaptation of Ender’s Game will have taken twenty-eight years, assuming it gets released on time: the novel is self-reflective, heavy on the exposition, and a delicate balance of pathos mixed with invasive politics of state designed child soldiers. Turning all of the above into a two hour movie is a colossal challenge. And if the advertising copy is to be believed, the film is already missing a significant element in the story’s chemical formula.